Ringo, is a typical 'little man' dog. He has buddies at his foster and they run around together and play all day. He gets along great with other small dogs and if there were a small dog play group in his future, he would not mind. :) . He loves people, belly rubs, zoning out in a sun beam and burrowing in blankets or pillows. If he is missing, you might also check the nearest clothes hamper. And speaking of missing, we are very serious when we say this delightful little boy is a HOUDINI, a master escape artist and a jail breaker. If there's a space in or under the fence, he's gone. If the kennel lid is not on correctly, he is gone. If the babysitter leaves the door open to get the last load of groceries from the car? He's gone. That's clear, right? 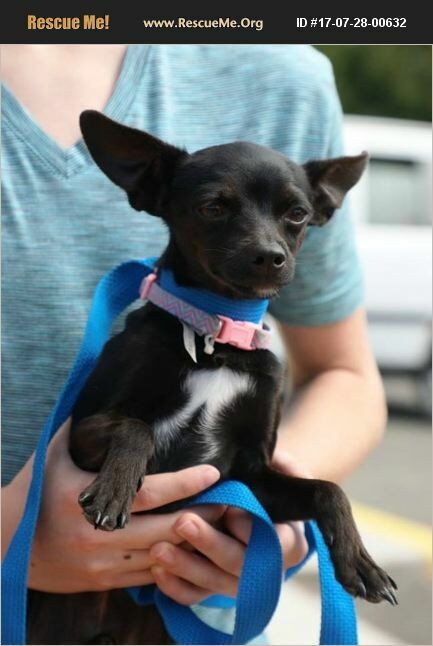 It's clear that Ringo is a 1 year old chihuahua, but he has long, long legs for a classic chi, so we guess that he is either mixed with an Italian greyhound, or he is a deer-legged Chihuahua/ Min Pin. Either way, he is really stunning, and he can motor! He is working on walking well on a leash. He is eay to train and housebroken. He is up to date on his shots and neutered (sorry, dude.) While we cannot speak to his experience with cats, or chickens, or ferrets, we know that Ringo does NOT get along well with young children. Ringo needs a household with children over 13 and very dog respectful. Ringo is clever and funny and waiting for a home to call his own, or share with other small dogs, but not small people. Ringo currently resides at our Washington rescue. Adoption fee is $350.00. Transport may be available to approved adopters. Contact Journeyhomerescue@outlook.com.